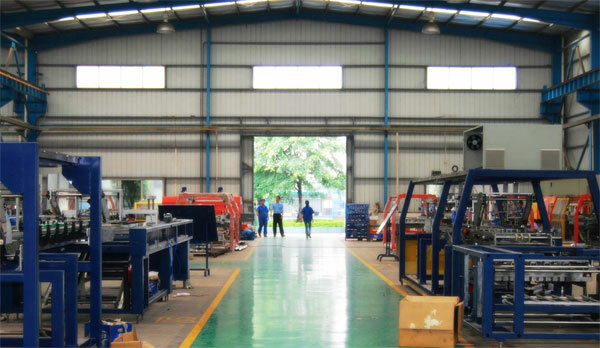 Snowball Machinery Tech Co., Ltd.(Originally from Snowball Machinery) is a professional manufactures of bag in box filling and packing equipments. We are focus on designing、researching、producing、selling、trading、maintaining、recycling our filling machines and relative equipments, also we can successfully handle various turn-key projects in food、chemicals、cosmetics and pharmaceutical fields. To meet the quick growth of drink production、consumption and market and requirement of filling machines, Snowball Machinery Technology Co., Ltd. we have introduced foreign advanced techniques of Germany、Italy and France, further studied drink production process engineering and mastered the core technology of liquid filling and successfully developed a series of middle and large sized filling units. Our main products are various bag in box filling machines, bag in box making machine and related equipments. Filling objects range from food、pharmaceuticals、chemistry industry such as water/milk/yogurt/sugar/carbonated/juice/wine/oil/honey/beer/tea/alcohol/medicament/detergent/soap/chemical materials. Packages types our filling machines processed are from bottle/tetra pack type/bag in box type/pet type/pop-top can/glass series/barrel type. Even the filling related accessories and filling material treatment equipments is no problem for us! Not only in China but also in the more than 30 countries and regions in the world such as Russia, America, England, France, Japan, Malaysia and Mexico our products are popular and highly evaluations. Adhering to the faith “The Best Reliable BIB Filling Solutions Provider”, sincerely we are looking forward to cooperating with clients and friends from all over the world for mutual benefits and develop together to create a beautiful future!